In a message on the eve of Republic Day, Mayawati said that this is also the time for people to introspect whether they have witnessed any change in their lives all these years. 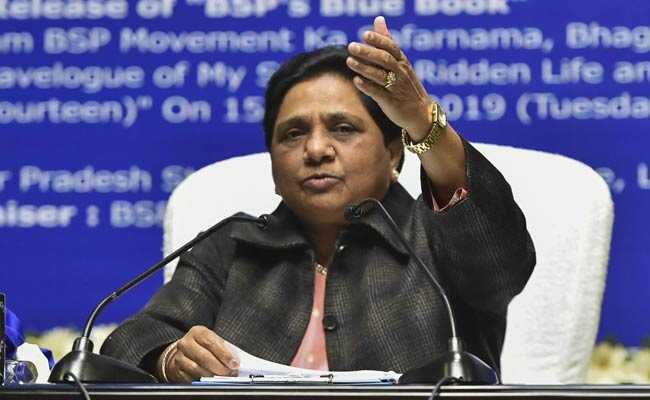 Bahujan Samaj Party (BSP) supremo Mayawati on Friday lashed out at the "political parties that were in power for the last 70 years" and blamed them for the unemployment, poverty, illiteracy and many other issues facing the country. In a message on the eve of Republic Day, the "Dalit powerhouse" said that this is also the time for people to introspect whether they have witnessed any change in their lives all these years. "Farmers, youth, poor and the religious minorities should think what they got under various governments, especially at the centre, and whether their lives have been positively impacted by them," she said. It is also a time to think on whether the social inequality has happened and that there has been fairness at the government level, the four-time Uttar Pradesh Chief Minister said. She also named the ruling Bharatiya Janata Party (BJP) government at the centre and said it has "done away with democratic values" and that it is working autocratically, pushing the country into an abyss with their narrow mindset. The BSP chief further stated that the general elections give the people an opportunity to change their lives as well as of others. "Everyone should understand the real message of Republic Day, realise what patriotism is and also implement it." Mayawati said. She also greeted the people on the 70th Republic Day.